AutomatedBuildings.com Review - Hobby Microcontrollers The Future Of The BAS Industry? Hobby Microcontrollers The Future Of The BAS Industry? The people adapting and modifying new technology for fun yesterday will be shaping the building automation offerings of tomorrow. The differences in outlook and output will not be minor. This article published in Engineered System is a great head shake and helps provide introduction to our September issue "The Self Learning Edge Revolution"
The people adapting and modifying new technology for fun yesterday will be shaping the building automation offerings of tomorrow. The differences in outlook and output will not be minor. Take a look at what the future might hold for facilities, consulting firms, and manufacturers. Today, in 2016, we often see BAS installed in new commercial buildings with microcontroller hardware that was designed up to 10 years ago. Meanwhile, there is a growing market for cutting edge, new hobby microcontrollers outside of the BAS controls industry. Compared to commercial building microcontrollers which can cost upwards of $3,000, microcontrollers in the hobbyist market which can be as, if not more, powerful than those available commercially, cost less than a hundred dollars. • Why are building control systems lagging so far behind the hobby controls market? • Why does the HVAC industry accept the replacement of legacy controls with 10-year-old technology? This article explores the current state of technology and the coming changes we should expect as the BAS controls market evolves to incorporate newer, cheaper, and faster technology under a modified paradigm. I’ll explore the significant potential for hobby microcontrollers to positively impact the BAS controls industry’s lifecycle and business model. Because many readers may be unfamiliar with the technologies available on the market, I present a comparison of a contemporary BAS controller and a typical hobby controller. Then I’ll discuss some of the pros and cons of change from the perspective of BAS industry insiders. I cover the hardware, software, and my experience with microcontrollers in a commercial setting and as a hobbyist. I will conclude with how I see the influence these hobby microcontrollers are having on the next generation of industry professionals and how that influence will spill into our industry. My hope is that as we all learn more about what is possible, we will increase our expectations and manufacturers will respond with better products offered at lower prices. Let me introduce you to the Raspberry Pi (RasPi). It is a $50 credit card-sized Linux1-based computer with which you interface via a monitor/TV through an HDMI port and via USB keyboard and mouse. First introduced in 2012 by the Raspberry Pi Foundation as an educational tool to teach children computer science, the RasPi has already undergone three major iterations and the current version is called the Raspberry Pi 3 (RasPi3). It runs one of the most popular versions of Linux and has a 1.2GHz processor with 1 GB of RAM onboard. RasPi3 has double the capacity, longer battery life, and more USB ports than the 600Mhz Dell laptop that got me through my undergraduate computer programming degree 12 years ago. RasPi3 is so adaptable and easy to use that it is readily poised to upend the BAS industry in a good way. The Hobbyist reference needs to go away but George is speaking to the original article how these powerful new devices will change everything. I remember when personal computers were the hobbyist platform at the start of the DDC revolution. But is PC's a hobbyist platform? not now but in my day .....the late 70 early 80 yes it was for sure.... only a few of us had PCs and they were jokes..... hobbies at the best the likes of pet commodore, apple, then break through Corona.... IBM luggables. We were playing with what the microprocessor could do. We had to breadboard everything making low production boards which we had to backup on cassette tape because the floppy disk had not been invented yet. This is how the DDC revolution occurred; it was Hobbyist hacking with marginal PCs and flaky microprocessors to build a new breed of BAS so we see a strong parallel. These new low cost powerful edge boards are open architecture hardware, that runs open source software plus they come with millennium maker culture and the tinker kids to make anything happen. These kids do not well understand our industry pain and that is a tremendous advantage because they will not approach our problems like we did. We could all learn a lot if we just talk to each other and get on with the new revolution. So what will we build on them????? Radical new products for sure but with completely new approaches, but now it gets very interesting..... a revolution is underway that will completely change our industry. It will be as significant as the DDC revolution. The descriptor Maker culture needs to be used to replace the word hobbyist. I Just Googled "maker culture" and found out about this new to me culture......interesting. Helps me better understand the term "maker edge devices" we need to educate our readers as well to these evolving new words. This Inforgraphic does a good job of depicting one flavor of the edge new devices - raspberry. 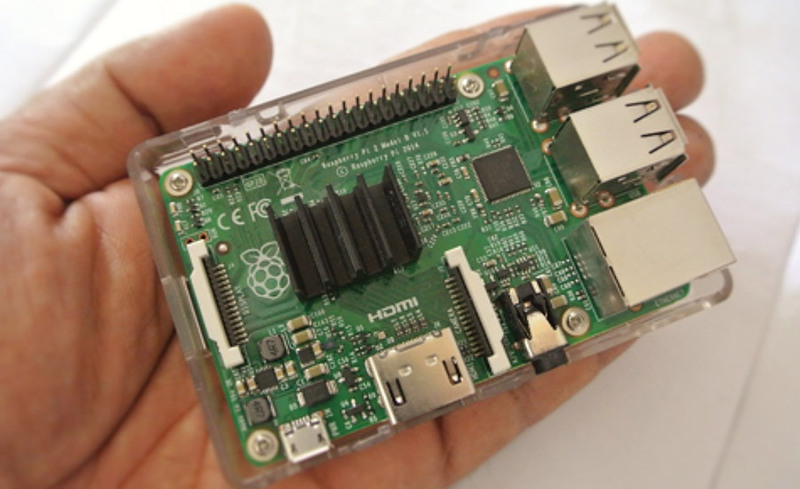 Raspberry Pi is a low cost, case-less computer, the size of a credit card. It plugs into a computer monitor or TV, and uses a standard keyboard and mouse. The device was created to be a low-cast computer that would enable kids to play around with computer projects and programming without fear of an expensive mistake.